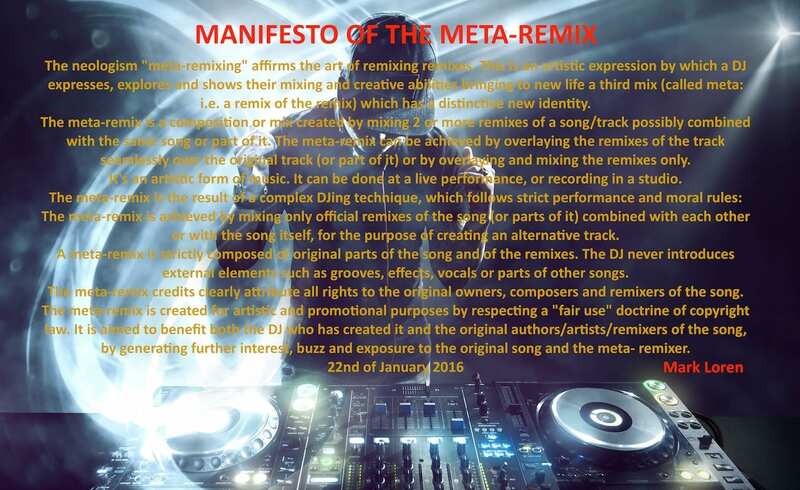 The Meta-Remix It's Not A Remix Nor A Mash-Up, So What Is It? The Meta-Remix It’s Not A Remix Nor A Mash-Up, So What Is It? You may have heard his version of the classic track “Sugar” by Robin Schulz. It’s not a typical remix, nor is it a mash-up. Instead, it’s a new concept: the META-REMIX. A few months ago when Mark was playing at a big event, he wanted to play “Sugar”. He had just bought the complete remix-pack but lacked the time to listen to each remix before the gig. After quickly browsing through the material, he couldn’t pick a favorite, so therefore he decided to play them all. CONNECT WITH MARK LOREN NOW!